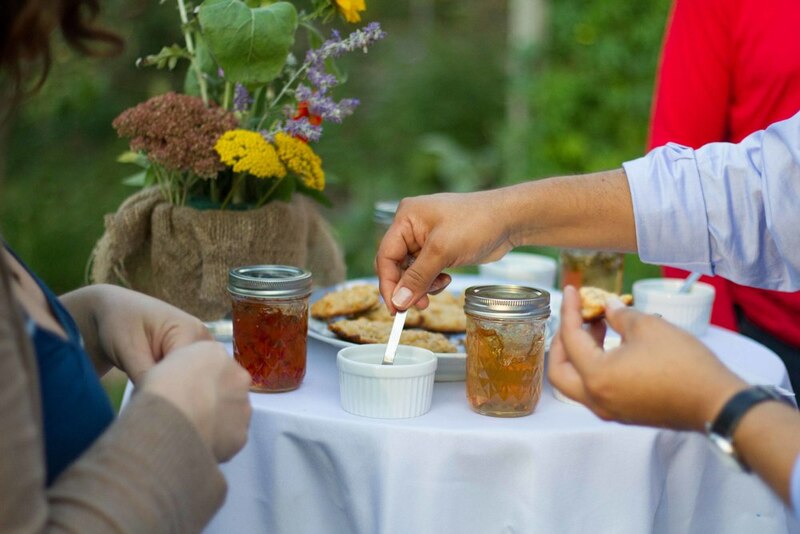 The Washington Youth Garden’s Strolling Supper will celebrate its 45 years of work with the Washington, DC community, and feature great food from local chefs and restaurants, live music, and fresh recipes from the Washington Youth Garden, a silent auction, and much more. This event is a way to engage and connect with our community, reach new volunteers and supporters, as well as share and highlight our programs and initiatives to make the communities we serve healthier. To ensure the event’s success and continue our work serving thousands of youth and families in the D.C. area. A courtesy posting for the Friends of the National Arboretum's Summer Evenings in the Meadow events. WYG will be there tabling and helping out, so come by and say hello! The event free is open to everyone! Summer Evenings in the Meadow - Celerating our 45th with music! Help Washington Youth Garden celebrate their 45th Anniversary with the Band Rocknoceros and Free Popsicles on July 14, from 6:30-8:30 p.m. Join us for a kids concert (and for kids at heart!) and help us celebrate WYG's 45th Anniversary! Music in the Meadow returns Thursday, July 14, and and we're kicking off with Rocknoceros! Rocknoceros, featuring Coach, Williebob, and Boogie Bennie, entertain tens of thousands of fans throughout the country and have gained national recognition. We will have free popsicles to help celebrate the Washington Youth Garden's 45th Anniversary. Pack a picnic, bring your lawn chair and blanket, and enjoy a summer evening at the Arboretum. Click here for more information on the 2016 Summer Concert Series. Admission is free, but please email cbroderick@fona.org to RSVP. Sorry, dogs and alcohol are not permitted. There will not be a rain date. Please enter through the R Street NE Gate (GPS 2400 R Street, NE Washington DC 20002) and head to the Great Meadow. WYG invites you to celebrate 45 years of growing gardens and supporting healthy families in Washington, DC. Enjoy a summer brunch at the garden with games for the kids and kids at heart, garden tips and tours of the Demonstration Garden, plus yummy delights and recipes from WYG staff and volunteers. For more information, visit the Garden Party's event page! Woodridge, our Garden Science partner school, is hosting a community day on Sat., June 11, from 10AM - 2PM. Center City Public Charter School, one of our current Garden Science partner schools, is celebrating a Family Fun Day with face-painting, fun food and drinks, a moon-bounce, games, music, and garden activities! For students in grades 4-8 and their teachers. The Anacostia Environmental Youth Summit is a city-wide showcase that spotlights youth voice, demonstrates environmental literacy, and encourages stewardship for the Anacostia and Potomac Rivers and the Chesapeake Bay. By exemplifying an ethic of stewardship and responsible action, the Anacostia Environmental Youth Summit emphasizes youth leadership and innovation. Each year, approximately 400 District students are invited to attend this outdoor event, where they interact with environmental educators from numerous public and private organizations and engage in hands-on learning experiences. Location: Anacostia Park, SE DC, near the skating pavilion on Anacostia Drive. Volunteering with the Washington Youth Garden is a rewarding experience. You don't need to have experience, but you must be willing to make friends with the soil and the bugs! Our volunteers strive to work in the garden 3 hours/week on various organic gardening tasks, such as weeding, planting, pruning, mulching, and pest control. All interested individuals are required to complete a Washington Youth Garden orientation before volunteering. Please contact the Garden Coordinator at volunteer@washingtonyouthgarden.org with the Subject:Volunteering with The Washington Youth Garden to sign up for an orientation and start! Description: The annual Garden Fair & Plant Sale features new, rare, and hard-to-find plants, garden supply vendors, books, children's activities, refreshments, entertainment, and more. Bring your garden questions to National Arboretum staff members for expert advice. Call FONA at 202-544-8733 for more information. Free admission. Washington Youth Garden presents Arbor Fest- a daylong conference on environmental-related issues impacting Washington DC residents. Panel discussions, workshops, and cultural programming efforts will be followed with an evening reception in the Herb Garden. Washington Youth Garden will be celebrating Earth Day at the U.S. Botanic Garden this Friday, from 10 a.m. to 2 p.m. Come enjoy engaging hands-on activities (we're making seed necklaces!) and meet with representatives of environmental organizations from throughout the region. Drop by and learn all the ways that you can make the planet a healthier place and become a more active steward of the plants that support life on earth! The 11th Street Bridge Park and the National Park Service present the Anacostia River Festival, a premier event and official closing of the National Cherry Blossom Festival. This year’s Festival celebrates the river and connecting people to parks in recognition of the National Park Service’s Centennial. Activities include: hands-on art projects, fishing workshops, kayaking and canoeing, bike parades, drumming circles, trail rides, live music and performances, and other activities for people of all ages. Held in Anacostia Park, this free event encourages District residents and tourists alike to explore communities and parks east of the river. Metro: Anacostia Station (green line). Free shuttles will run from Anacostia and Eastern Market metro stations to the Festival site. Free bike valet. Washington Youth Garden is only one of the organizations partnering this year, hosting an information tent about who we are, what we do, and with a couple fun things to share (games and smoothies, naturally!). Please contact the Garden Coordinator at volunteer@washingtonyouthgarden.org with the Subject: Volunteering with The Washington Youth Garden to sign up for an orientation and start! Make eating a selfless act by joining us for a fundraiser to support the Washington Youth Garden. Just come to any Washington DC Chipotle on Tuesday, March 29 from 11AM to 10PM. Bring in this flyer, show it on your smartphone or tell the cashier you are supporting the cause to make sure 50% of the proceeds will be donated to Washington Youth Garden! Want to help us but don't know where the nearest Chipotle location is to you? CityVista: 5th and L St.
What is the Rooting DC forum? Rooting DC is a FREE, all-day gardening forum that aims to provide education about urban food production and consumption, to cultivate health and preserve the environment. The program includes dozens of interactive workshops, cooking and food preservation demonstrations, and panel discussions focusing on youth gardening, nutrition, sustainable growing techniques, and healthy food access. The event also hosts 60+ green businesses and nonprofit from throughout the region at an information fair. Attendance is free! A donation of $10 is suggested. Rooting DC is hosted by DC Greens. The event is collaboratively designed with representatives from Arcadia Center for Sustainable Food and Agriculture, City Blossoms, Common Good City Farm, FRESHFARM Markets, Love & Carrots, and Three Part Harmony Farm. WYG will have an informational table run by alumni from our Green Ambassadors Program. Be sure to stop by!